The Rockett Solar, LLC, array on Wing Lane in Acushnet has been acquired by CVE North America, an inde­pendent renewable energy producer based in New York, and a subsidiary of the interna­tional comopany, CVE Group. Photo by Glenn C. Silva. 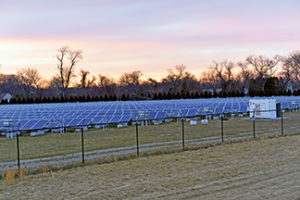 CVE North America, an inde­pendent renewable energy producer based in New York, has recently acquired a 650kW solar power plant in Acushnet, MA. 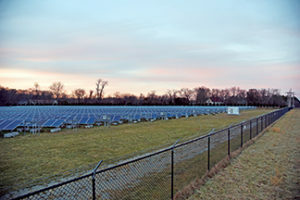 The installation, Rockett Solar LLC, was built in 2017 on a site located on Wing Lane and has been producing clean electricity ever since. The project will be the first solar installation owned and operated by CVE NA in the United States and will serve as their first community solar project providing solar credits and energy savings to local communities. “We are extremely pleased to acquire the Rockett site and create an opportunity to provide clean, renewable power to local residents and businesses through community solar.” Ryan Young, Solar Site Originator Massachusetts. Incentivized by the state-run solar program SMART, community solar allows people who cannot or do not want to install solar panels on their roof to have access to solar energy without upfront investment. As the solar installation deliver energy to the grid, subscribers receive solar credits that offset their electricity bill. Renters, people living in apartments, or in houses unsuitable for solar can contribute to the transition towards cleaner energy while saving money. “CVE is committed to delivering locally produced clean energy and making solar accessible to all communities. The Acushnet project is a first step to enter the community solar market, a fast-growing segment in the solar industry.” Thibaut Delespaul, Vice President North America. CVE North America is the American subsidiary of the interna­tional independent renewable power producer CVE Group. 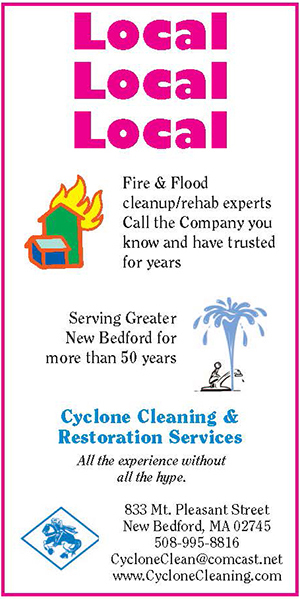 CVE NA’s core business is to develop, operate, maintain and own solar installations focusing in the states of New York and Massachusetts, while looking to expand to other Northeastern states. CVE currently has 10 projects in development in Massachusetts totaling 45 MW. Among those, 7 projects totaling 36MW were applied as community solar projects under the SMART program. CVE also has over 29 MW in development in New York state. Staying true to the vision of the group, CVE’s mission is to produce clean energy to answer the energy and environmental needs of munici­palities, homes and companies. CVE aims to fully enter the Massachusetts community solar market in early 2019 and to have 350MW of projects in development by 2024. *Fixes typo from previous versions. CVE, not SVE.